Emanuel was first elected mayor in 2011 after serving as Obama's chief of staff. In a stunning, unexpected decision — after months of indicating he would seek re-election — Chicago Mayor Rahm Emanuel has announced he will step down and not try to retain his office at the end of his term in May 2019. Emanuel left his position at the White House as President Barack Obama’s chief of staff to run for mayor of Chicago and was elected in 2011. The mayor’s second term has been plagued by protests and criticism following the police shooting of Laquan McDonald. His announcement comes as court proceedings for the trial of the Chicago police officer accused of killing McDonald begins Wednesday. Officer Jason Van Dyke, who’s charged with murder, is accused of shooting the teen 16 times in October 2014. The incident was captured on police body camera video. 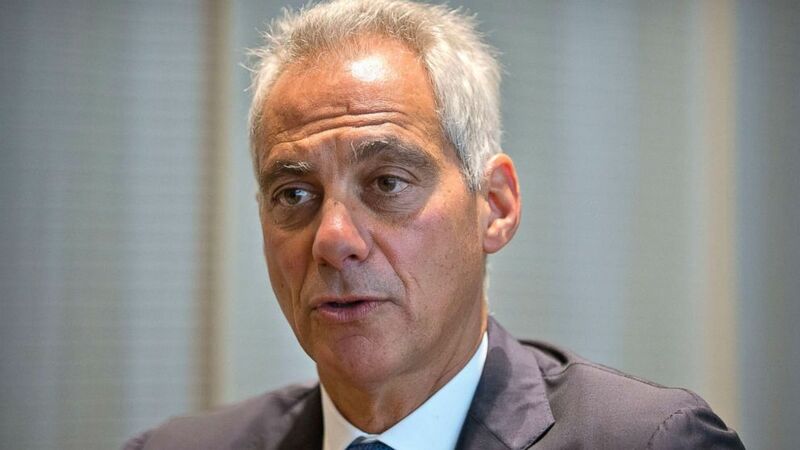 Emanuel's team of city attorneys fought against the release of the video for more than a year, until a judge ordered it be made public in November 2015. (Mark Schiefelbein/AP) Chicago Mayor Rahm Emanuel speaks during an interview with the Associated Press in Beijing, July 12, 2018. The release marked the beginning of countless demonstrations across Chicago, accusing Emanuel of a cover-up and demanding he resign. The release would later lead to the resignation of Chicago Police Superintendent Garry McCarthy. Prosecutor Anita Alvarez was voted out of office in the wake of the video's release. Activist Rev. Gregory Livingston said "mission accomplished" in response to Emanuel’s announcement, adding, "He’s a DC power broker and not an individual equipped to govern the challenged. He’s equipped to govern people that can pull themselves up by the bootstraps…but not the bootless," Livingston said in an interview with ABC Chicago station WLS. Emanuel’s supporters, however, tout his financial and educational accomplishments, which include controversial tax increases that helped put the cash-strapped city on a path towards financial stability, his work to expand full-day kindergarten city-wide, and launching a program to make free pre-kindergarten available across Chicago. 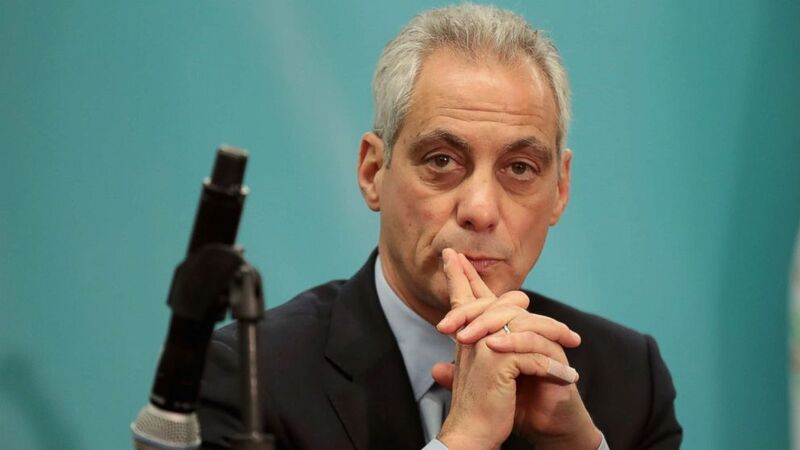 In a statement announcing his resignation Emanuel wrote, "The changes we have made to our school system—universal full day pre-K, universal kindergarten and a longer school day and year will add up to nearly four more years of class time for Chicago’s students. In the end of the day what matters most in public life is four more years for our children, not four more years for me." (Scott Olson/Getty Images, FILE) Chicago Mayor Rahm Emanuel speaks to the press during the North American Climate Summit on Dec. 5, 2017 in Chicago. "This has been the job of a lifetime, but it is not a job for a lifetime. You hire us to get things done—and pass the torch when we’ve done our best to do what you hired us to do," Emanuel said. President Barack Obama in a statement praised Emanuel, saying in part, "Chicago is better and stronger for his leadership, and I was a better President for his wise counsel at a particularly perilous time for our country." At least 12 candidates have already announced they will be running to replace Emanuel.